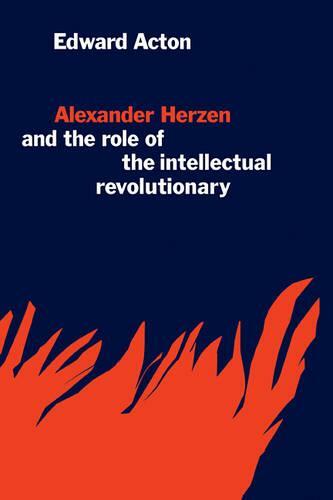 Alexander Herzen (1812-70) was the most outstanding figure in the early period of the Russian revolutionary movement. Lenin claimed him as a forerunner of the Bolsheviks, and Soviet scholars have sought to establish his latent sympathy with Marxism. In the west on the other hand, he has been seen as a precursor of Solzhenitsyn, the personification of protest against all forms of oppression. Dr Acton provides a compelling intellectual biography. The focus is on the years between 1847 and 1863. Herzen's ideas are set in the context of those political developments and dramatic private experiences that affected his outlook. His profound faith in human nature and in the inevitable triumph of socialism was undermined not only by the failure of the revolutions of 1848, but even more deeply by personal catastrophe - the discovery of the infidelity of his beautiful wife Natalie. This dual blow, Dr Acton shows, had a decisive impact upon Herzen's approach to Russian problems. It lay at the root of the ambivalent attitude he adopted towards peasant revolution in the critical period of Emancipation.